Time. How do you spend yours? In our daily lives, we all make choices about how to spend our time, but what if we didn’t have that choice? 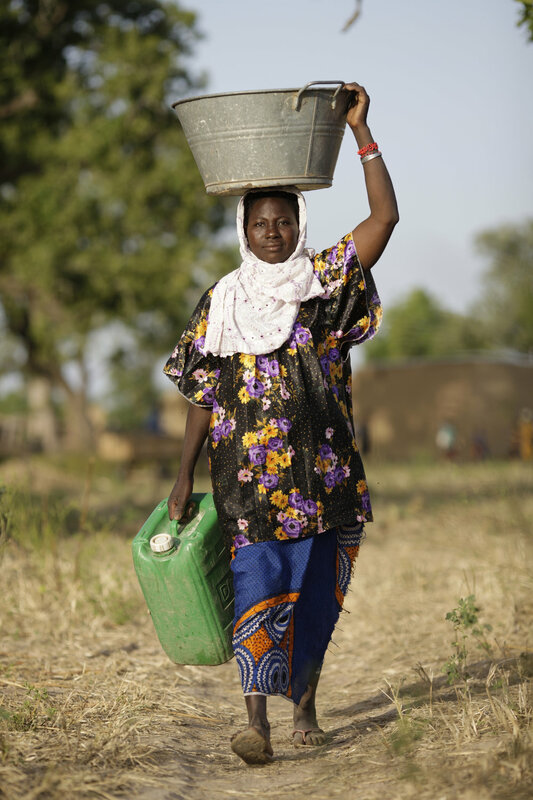 In sub-Saharan Africa alone, women and children spend 40 billion hours a year collecting water. This is equal to the entire workforce of France. Imagine what could be done with that time? Time is a gift, but for many people living in rural coffee growing communities, valuable hours are lost during long and exhausting walks to collect water for their families. Photos courtesy of Wateraid UK. The majority of countries in sub-Saharan Africa now offer free universal primary education. While this is a great development, many school buildings lack basic facilities including water points and toilet blocks, and many children are unable to attend school because they are needed to help collect water for their families at home. According to the UN Development Programme, there are an estimated 443 million school days each year that could be gained through provision of clean water and sanitation. This works out at around 2.2 million children having full school years without interruption, simply through providing clean water facilities on or near the school site. For pupils at Rwentuuha Primary School in the Fort Portal region of Uganda, having clean water in school means that children no longer need to miss up to two hours of classes and cross busy roads to collect water from a community well. Photo courtesy of Eliza Powell Photography. In last month’s blog, we delved deeper into the importance of toilets, especially for young women attending school. With a safe, clean toilet block available at school, girls no longer have to stay at home during their period. Where previously they would have spent one week from every month wasted at home, they are now able to access the same education as their male friends, leading to a more equally educated population. The gift of time not only benefits school children. In sub-Saharan Africa, collecting water is a job that often falls on women and girls, and in some cases this can take up to 8 hours each day. With a water point nearer to home, women can refocus their energy and time on other activities, such as starting their own small business, earning a living, growing their own food or simply spending more time with their family and children. The gift of time also brings the beauty of smaller things. For many women this is as simple as having the time to bathe and using fresh, clean water to do so. As we approach the holiday season and consider the gifts that we could give, we should think of those lives that could be changed through the gift of valuable time. Just £25 can change someone’s life for good by providing a sustainable source of clean water and sanitation facilities close to home. This year, you can give the gift of time by donating to Project Waterfall. Newer PostHow is Christmas celebrated in coffee growing countries?